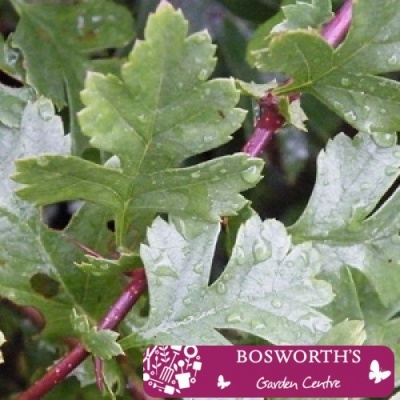 Bare Root Hedging - Hawthorn Crateagus Monogyna (Single) - Vigorous and very thorny deciduous plant with dark green leaves. Mass of scented white flowers produced in late Spring followed by small scarlet red berries in Autumn. The branches are covered in long, very sharp thorns making it an excellent boundary hedge. Will tolerate wet soils and partial shade. Ideal for creating hedges 3ft upwards.